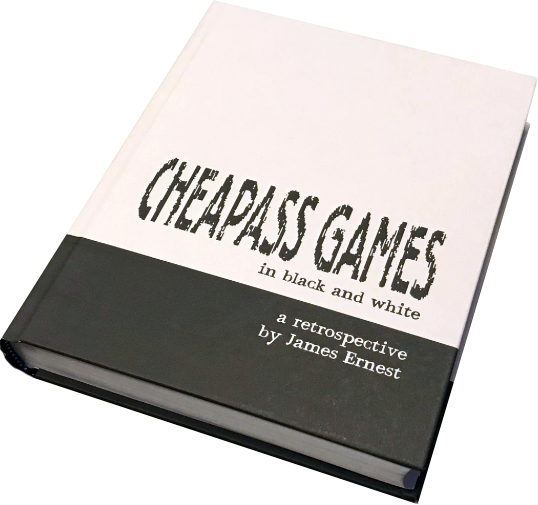 "Cheapass Games in Black and White: A Retrospective" includes the rules and histories of all of our black and white games, from the well-known Kill Doctor Lucky, Lord of the Fries, and Button Men, to many more obscure games, such as Escape from Elba, Pennywise, Dogfight, and The Lost Pueblo of Doctor Green, plus a few prototypes and unreleased games you've never heard of. Get the complete history of Cheapass Games, all collected into one big heavy book! On Kickstarter until April 30th.